A little boy, named Daniël Willemsen, drove his first meters on an 50cc Honda with a home made side car attached to it his brother Marcel was riding with him as his passenger. These boys were only 6 and 4 years old and had recently learned how to ride a bike, now it was time for the real thing. Father Berry, who was also a sidecar cross driver, looked thrilled as he saw his two sons driving around. Then when they were ten and eight years old the source was replaced by 80cc Honda and father Berry had told the boys how to drive and how to be a good passenger and they drove their first races. Because a special youth class for the sidecars has never existed they simply started with the solo's and also all the way in the back. Extremely handy they drove their combination up front and possibly then, the base has been laid for their unprecedented competence in catching up with anyone and anything. The Willemsen brothers decided they wanted to try and drive for an organisation. The problem was that they were too young too start with the big organisation in Holland, the KNMV. So they tried to get a license at the MON, there they were accepted and they started out in the Junior Class. There age is now 15 and 13 years old. They won 3 races in a row and they were promoted to the senior class, were they became 14th at the end of the season. 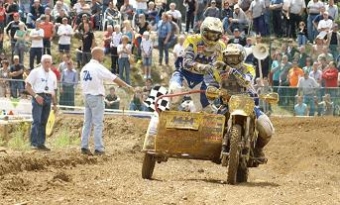 Everybody knew the Willemsen brothers by now... a promise for the future of sidecar cross. In 1992, they became third in the end of the MON listings. in 1993, they gained the Dutch champion title, 17 and 15 years young. No one else then they were entitled to that title, because of the 80 manches which were held, they won 70! Almost was also the European Title from the IMBA on their name, but it was a close call and the tile went to Marc Leysen/Jac Bax. The last race in Switzerland was cancelled because of heavy rain fall. This was the last season for Daniël and Marcel at the MON, they moved on and next season they would start at the KNMV. At the MON they were done and in 1994, they signed themselves in again at the KNMV. There they were in the meanwhile also persuaded of the talent of the Willemsen brothers and they got immediately all facilities to build at their career. They could start in the competition for the Dutch championship; however they had to start the first two races as from the second row. In the second race for the Dutch championship in Oldebroek they ensured a complete surprise as they were coming from the second row and finished as the winners Nevertheless there was still one problem, Marcel was not yet eighteen years old and could therefore according to the regulations of the FIM not take part in Grand Prix. Then Daniël decided to take part with Reinier van Stuyvenberg in his first GP. In spite of the very tough sand circuit and a new passenger he gained a Second place in his first Grand Prix act, immediately behind the Belgian winners Gunther Govaerts/Sven Verbrugge. By their outstanding performances the boys could not be made crazy and continued building quietly to their career. Their first complete Grand Prix season they drove in 1996, but because Marcel broke his shoulder in the French Ahun the results were rather changeable. However, they gained two triumphs, one in France and one in Belgium and they finished in the world championship 12th. In 1997, they set off seriously to the world title. On June 29th they won their first Grand Prix in Estonia, and then one week later this was in Latvia once more repeated. With still three Grand Prix to go they stood on first position in the standings for the World Championships Title. And the also young riders Kristers Sergis/Artis Rasmanis were second. It seemed as if their first world title was seriously within range. Unfortunately it went wrong, during a race for the open German championship in Aichwald they crashed hard during the start and both continued lying unconscious. Marcel was also once more run over by another combination and incurred a heavy concussion and at three places he brook his cheekbone. Daniël also incurred two broken back spines and a concussion. Marcel was transported by trauma helicopter to the hospital in Esslingen; Daniël was brought by ambulance to a hospital 80 kilometres from his brother. Due to their heavy accident they had missed the Belgian Grand Prix as a result of which point delay incurred. But only one month after their accident they took their positions in the Czech Grand Prix. The last Grand Prix in the Dutch Oss Daniël drove with Sven Verbrugge, but in spite of a victory they finished on the third place for the world championship that year behind Kristers Sergis (1) and Alois Wenninger(2). 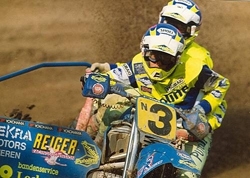 In 1998, the fight for the world championship went purely between Willemsen and Sergis. In the second last Grand Prix in the Dutch Lierop they had brought back their delay to one miserable point. The last race in the German Rudersberg had to bring the decision.Considerably nervous Daniël and Marcel came to the start and Sergis took the head in a tough race. Daniël and Marcel then afterwards came back on their well-known way to a spectacular race but at an attempt to pass Sergis they were pressed off the track. With a totally exhausted Marcel they still came on a third position over the finish line. The world title went again to Sergis-Rasmanis and the Willemsen brothers became second. That year Daniël and Marcel became Dutch champion for the first time. For their particular performance Daniël and Marcel received the Ben Majoor Trophy by the KNMV as most talented youthful team. 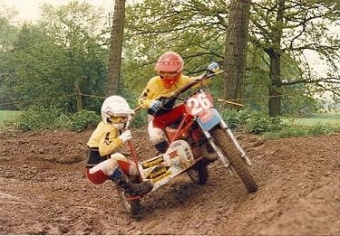 Daniël and his brother Marcel were determined to take the world title home this year. Last year they missed it by a few points and bad luck, but that was all going to change. The season started out good and they won several races, one after another. The Result? They became world champion after the first heat in., Switzerland! With lots of fireworks, produced by all the fans that came along from Holland, Daniël and Marcel took the last jump and became World Champions!! It looked as if it wouldn't get any better than this, but something came up... Sergis/Rasmanis (Latvia) went to the jury for a protest; the Dutch boys would have had help on the track so they said, and they had film footage to prove it. So Daniël had to go to the jury room with Kristers Sergis and a long hour of insecurity, disbelieve and stress began. Briefly for the start of the second heat the releasing answer came; the protest was not explained receptive and Willemsen preserved its points, and so the brothers were still world Champs. The second heat was about to start and Daniël and Marcel decided to take sportively revenge on Sergis. In the second heat, at a distant jump on full speed, Marcel however hurt his knee and instead of winning the heat Marcel had to the hospital and they couldn't finish the race. Time to go home.. Afterwards Sergis/Rasmanis made their protest pending at the FIM. They also lost this one and Willemsen/Willemsen were officially World Champion 1999. During the annual party the KNMV in 1999, awarded the Hans de Beauforttrophy to Daniël Willemsen because of gaining its world championship. This trophy, named after an engine sportsman who was shot in the war, is only granted to Dutch motocross driver which has achieved something exceptional. Standing there Dani‘l dedicated this trophy to his brother. After their first world title the future of the boys saw particularly rosy. In the spring of 2000 they drove to the Italian track Tinolo to practice, and on Friday afternoon the 25th of February something terrible happened what would separate the ways of the two brothers definitively. At a fast jump their engine shot from acceleration and the combination fall hard. Daniël had a broken collarbone; his brother on the other hand had much more serious injuries. At the fall he broke a back spine and his seventh chest spine. That resulted in an incomplete paralysation. Daniël set off to the Netherlands after one week, but Marcel had to stay behind in an Italian hospital. When they came home the family realised the full seriousness of the matter because it looked as if Marcel would never walk again. It was Marcel himself who, from the hospital in Italy, Daniël exhorted to continue, but with another passenger. The first Grand Prix of the season 2000 Daniël had already missed, but he appeared the following race to the start! The very experienced Belgian passenger Sven Verbrugge, with whom Daniël already once earlier had driven, was an excellent substitute for Marcel and they won the first Grand Prix whom they drove! Marcel didn't have the intension of sitting at home watching tv either, he started to come back in the world of sidecarcross. He was getting stronger each day en also started practice on a sidecar he changed a bit, so he could drive it more safely. He did all this so fast and good that by the end of 2000, Marcel drove on a normal sidecar again. Only 10 months after that terrible accident, Marcel Willemsen recovered more than even the doctors had hoped for! The familiarisation to the new passenger cost more effort than Daniël had expected. On Marcel he trusted blindly and their style had been exactly coordinated in the course of years. Sven Verbrugge was a very experienced passenger and for this reason they had often difference of insight what led to mutual discussions. But once on the engine, they went purely for the victory. For this reason the cooperation between both was continued and they were both highly motivated and intended to catch the World Title. But the season started badly, with technical problems as a result of which they sunk back to a provisional sixth place and also this impacted on the mutual relations. A very strong second half of the season brought them back to the second place and the world title went to Sergis. As a plaster on the wound Daniël could call himself, for the third time, Dutch Champion. There was no longer a good understanding within team Willemsen, and it seemed for both Daniël and Sven better to go from each other. Particularly sad, because undoubtedly Daniël was best driver and Sven the best passenger but they must form of course a strong team. When also still an important sponsor pulled out it became not very easy for Daniël, but at the correct moment Ejo Elburg came to reinforce the team as their manager. In the winter months Daniël went in search for a new passenger and after long tests with several candidates the choice fell eventually on the Belgian Alfons Eggers. Although the beginning was promising, they won the first Grand Prix of the season, appeared nevertheless already fast that Alfons could not continue the murderous tempo of Daniël. Sometimes it went good, it frequently went badly. Halfway the season Alfons himself indicated he wanted to stop and brought Daniël in the difficult position that he had to find a passenger. Were could he find a good passenger in the middle of the season? Fortunately a couple phone calls with Sven Verbrugge were sufficient to make him decide to temporary take place in the sidecar with Daniël. Also Bart Notten jr was temporary his passenger, and the season was completed with the Belgian passenger Dagwin Sabbe. Daniël became Dutch Champion, European Champion and, for the third time vice World Champion. What now, Daniël thought because suitable passengers are difficult to find. Already rapidly came from an unexpected angle the solution. Reports that Daniël was looking for a passenger reached of course also Latvia. And the former passenger of Sergis, Artis Rasmanis, suggested to Daniël, this still unknown but ambitious and just 20 year old person, Kaspars Stupelis. Rapidly Daniël came to the German ckuff to drive a number of rounds and it did not last long before Daniël was persuaded of the qualities of Stupelis. Many people thought this was not going to work, this boy was very young. Stupelis appeared with Dani‘l in Halle for the first time, they were going strong and Kaspars showed he had character; it looked as if Dani‘l had found the correct partner. A week later the first Grand Prix took place in Spain and Daniël and Kaspars drove well. The rest of the season was extremely exiting between Sergis and Willemsen. On 24 august 2003 in the Dutch Lichtenvoorde for the second time the world title was gained. 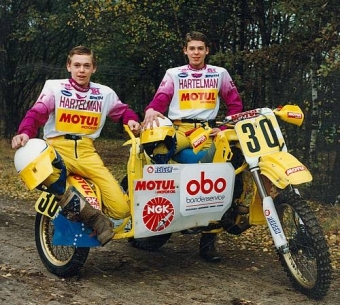 Beside their world title Dani‘l and Kaspars became also once more European champion sidecar cross for country teams. And they also became Dutch Champions. The Hans de Beaufort trophy of the KNMV is only distributed at exception, someone who receives him twice is still more exceptional. Though Daniël Willemsen received this trophy again in 2003, and nobody looked surprised. 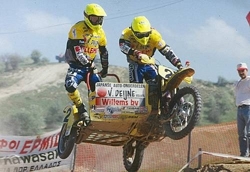 Daniël Willemsen remains a miracle in motor sports because his talent goes much further then only sidecar cross. He has a 125cc Suzuki solo engine and loves to drive solo. On two, three or four wheels, it does not matter, Daniël always throws himself for the full hundred percents in the fight and that makes him particularly loved by motorsport fans all the way. No wonder that in 2003 he was the winner of the semi-official title: all-round motor sportsman of the year! was eliminated for a long time. Daniël and Kaspars built up a very strong position and already three races before the end of the competition their world title was a fact. This race took place in Latvia, the home country of Kaspars and an ultimate dream for Kaspars came true. But then at the start of the first heat a bizarre fall party occurred. Daniël took head start but beside him was his brother Marcel who left exactly this way, rapidly. In first turn it were both brothers who touched each other and Marcel came heavily at fall. He was wounded and an ambulance arrived. Marcel was treated however at the track and managed to start in the second heat with a broken cheekbone, a concussion and a broken jaw! After a ceremony in Lochem (with many people) and the last GP's, both Daniël and Marcel heard that their passengers both wanted to stop. Marcel found a new passenger in Bart Notten jr. but for Daniël the search was a bit more difficult. Kaspars wanted to go home to Latvia and he told Daniël he was going to be the new passenger for Kristers Sergis. Daniël called Sven Verbrugge and he immediately said yes, this duo is meant to be a success he said This season the Dutch and World title both went to Daniël Willemsen and Kaspars Stupelis. Daniël also participated in the contest for allround motor sportsman of the year. A lot of fun and laughter that day and Dani‘l ended on a second position. Again he showed that it can be fun to try everything! After Kaspars Stupelis left the team, Daniël looked for another passenger. He also had contact with Sven Verbrugge whom he knew very good allready. After a few talks and training , they decided to start the new season together. The dream for Sven was to become the first Belgium World Champion and he knew he had a good change to become that with Daniël Willemsen. Daniël looked for an experienced passenger, and he knew Sven was one of the best. Unfortunately Daniël got an injury on his leg and had to have surgery, so the first race in Harfsen for the Dutch Championship they could not participate. But they showed everybody what they were made of in the following races for both the Dutch and World Championship. They became World Champions in Dardon Geugnon in France with one more race to go and they managed to become 3rd in the Dutch Championship at the end of the season. 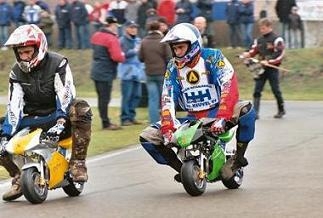 Next year, in 2006, Daniël and Sven will try to win the World Title again and also go for the Dutch Title. Op 07 mei 1975 werd in Lochem Daniël Willemsen geboren. Twee jaren later gevolgd door zijn broertje Marcel. De belhamels groeiden op in het Achterhoekse platteland en kenden een onbezorgde jeugd. Altijd waren ze samen in de weer, samen naar school, samen op hun crossfietsjes, vaak kwamen ze pas thuis als het donker werd. Om hun uitspattingen enigszins in goede banen te leiden mochten ze van hun ouders met hun crossfietsje bij de plaatselijke club aan jeugdwedstrijden gaan deelnemen. Toen Daniël en Marcel respectievelijk zes en vier jaren jong waren kregen zij voor het eerst de beschikking over een 50 cc motortje met zijspan. Niet zo verwonderlijk want als de vader en de ooms van Daniël en Marcel fervent motorcrossers zijn dan kan het haast niet anders dat de twee kleine belhamels al snel besmet raken met hetzelfde virus.Maar het was meer uit kostenoverweging dan uit voorkeur voor de zijspancross dat Daniël en Marcel de beschikking over een 50 cc mini-zijspan. Daniël werd stuurman en Marcel bakkenist. Na twee jaren bij de MON kregen hun talenten duidelijk gestalte toen ze in 1992 als derde eindigden voor het Nederlands kampioenschap. 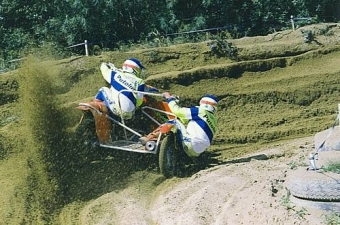 In 1993 werden Daniël en Marcel Willemsen Nederlands kampioen zijspancross bij de MON. 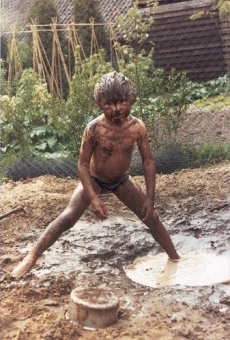 En dat zij die titel terecht verdiend hadden bleek wel uit het feit dat ze dat jaar maar liefst in 70 van de 80 manches als eerste over de finish kwamen. Ook internationaal boekten ze als 17 en 15 jarige grote successen. Het Europees kampioenschap zijspancross van de IMBA ging met minimaal verschil naar het Belgisch-Nederlandse koppel Marc Leysen/Jack Bax. Was de laatste race in Zwitserland door hevige regenval niet afgelast dan was dat jaar de titel wellicht naar Daniël en Marcel Willemsen gegaan. Genoeg geleerd bij de KNMV meldden Daniël en Marcel zich begin 1994 bij de KNMV. Deze keer stond men zeker niet afwijzend tegenover de jongelingen al had vooralsnog de gevestigde orde onder de zijspancrossers weinig aandacht voor hen. Als nieuwelingen moesten ze in Harfsen vanaf de tweede rij starten maar dat weerhield hen niet om als zevende te finishen. In de tweede manche schuwden zij zelfs het gevecht met regerend kampioen Marco Bens niet en eindigden ze vierde. Een paar weken later in Oldebroek vertrokken als zeventiende, klommen elke ronde een paar plaatsen op om in de laatste ronde de regerend kampioen te passeren. Al in hun tweede wedstrijd bij de KNMV was de eerste manchezege een feit. De concurrentie stond versteld.Men kon er niet langer omheen dat Daniël en Marcel bijzonder veel in hun mars hadden en de KNMV nodigde hun uit om nog datzelfde jaar deel te nemen aan de Grand Prix van Nederland in Lierop. Er was één klein probleempje, Marcel had nog niet de noodzakelijke leeftijd van 18 jaar bereikt en daarom startte Daniël in Lierop met invaller Reinier van Stuyvenberg. Een vierde plaats in de eerste manche en zelfs een tweede plaats in de tweede manche bracht hen in hun allereerste WK wedstrijd op het podium naast de Belgische winnaars Gunther Govaerts/Sven Verbrugge. Het bleef dat jaar bij een eenmalig optreden in het WK en Daniël Willemsen eindigde met 30 punten op een 23e plaats. Vanaf de eerste wedstrijd in het Gelderse Halle werd duidelijk dat de zijspancross aan de vooravond stond van een compleet nieuwe lichting jonge duo’s. Er werd vanaf het begin felle strijd gevoerd tussen de broers Willemsen, de broers Janssen en Gerton Kops/Gerwin Wijs. Na twee wedstrijden was het puntenverschil tussen Willemsen en Kops en minimaal maar de onstuimige rijstijl van Willemsen eiste regelmatig zijn tol waardoor ze vaak buiten de punten vielen. Ondanks alle tegenslagen werden ze dat jaar toch nog derde plaats in het Nederlands kampioenschap.Ook internationaal werden flinke stappen vooruit gezet maar ook daar ging het nogal eens mis. In het Franse Ahun brak Marcel zijn schouder en werd bij een aantal wedstrijden zijn plaats ingenomen door de Fransman Bruno Bouvet. Van de veertien manches in het WK waarin ze aan de start verschenen vielen zij er maar liefst zes uit. De hoogste klassering was een zesde plaats in de Nederlandse Grand Prix in Markelo. Met 22 punten werden ze 25e in het WK. Daniël en Marcel hebben duidelijk de opgaande lijn te pakken en in het WK boeken ze regelmatig fraaie resultaten. Tijdens de Franse Grand Prix in Baugé boeken ze hun allereerste manchezege voor het WK. Later dat jaar zouden ze in het Belgische Rijkevorsel nog een manche voor het WK winnen. Ze weten in acht van de tien Grand Prix punten te behalen waardoor ze dat jaar op een keurige 12e plaats in het WK eindigen. Ook in het Nederlands kampioenschap gaat het hun voor de wind. Met een dubbele manchezege in Oldebroek maken ze direct hun aspiraties voor dat jaar bekend. Later in het seizoen worden er nog twee manche voor het ONK gewonnen maar daar stonden weer een aantal nulscores tegenover zodat ze wederom op een derde plaats eindigden. Met het stoppen van Andreas Fuhrer komt er een eind aan de jarenlangs Zwitserse overheersing in het WK zijspancross. Het is nu tijd voor de nieuwe generatie zijspancrossers onder aanvoering van Daniël Willemsen/Marcel Willemsen en het Letse duo Kristers Sergis/Artis Rasmanis. In het Tsjechische Kramolin delen Daniël en Marcel de eerste tik uit door de eerste manche te winnen. Ze tonen daarmee aan dat ze tot de absolute wereldtop zijn doorgedrongen. Ook in de volgende Grand Prix in het Franse Castelnau de Levis komen ze de eerste manche winnend over de finish. De tweede Franse Grand Prix in Ernée boeken via met tweemaal een tweede plaats hun allereerste Grand Prix zege. De volgende wedstrijd in Saku, Estland doen ze het nog een keer en dan met nog meer overtuiging door beide manches te winnen. In Kegums, Letland worden ze weer dagoverwinnaar met een tweede en een eerste plaats. Maar daarna komt een onverwacht einde aan hun zegereeks. In het Duitse Aichwald krijgen ze een zwaar ongeval en worden beiden met een traumahelikopter naar het ziekenhuis afgevoerd. Daardoor kunnen ze in de Belgische Grand Prix te Rijkevorsel niet starten en laten zo kostbare punten liggen. Ook in de Duitse Grand Prix behalen ze geen punten waardoor de kansen voor de wereldtitel ineens aanzienlijk minder worden. In de slotwedstrijd in het Nederlandse Oss wordt alles uit de kast gehaald en wint Daniël, ditmaal bijgestaan door Sven Verbrugge, beide manches. Maar die overwinning kan niet voorkomen dat de Letten Kristers Sergis/Artis Rasmanis op dezelfde dag als de nieuwe wereldkampioenen worden gekroond. Het Duits-Nederlandse koppel Alois Wenninger/Henry van de Wiel wordt met vier punten achterstand op de wereldkampioen tweede en Daniël en Marcel Willemsen komen slechts zes puntjes tekort voor de wereldtitel en worden derde. Jammer dat ze dat jaar vier manches uitvielen anders was wellicht de wereldtitel naar hun gegaan. De strijd om het ONK ging voornamelijk tussen de broederparen Daniël en Marcel Willemsen en Jacky en Wiljam Janssen. Maar reeds in de openingswedstrijd kregen Daniël en Marcel met pech te maken. De volgende wedstrijd in Lichtenvoorde werd alles recht gezet door een dubbel mancheoverwinning maar in Oss en Zaltbommel waren de resultaten ook weer matig. Uiteindelijk resulteerde dat in een tweede plaats achter de broers. De strijd om het wereldkampioenschap spitste zich in 1998 volledig toe tussen Willemsen en regerend wereldkampioen Kristers Sergis waarbij duidelijk bleek Daniël en Marcel de sterkste waren. Maar de pechduivel werkte in het voordeel van Sergis. In het Griekse Kallithea Elassona wonnen Daniël en Marcel de eerste manche maar in de tweede raakte Marcel geblesseerd en bleven ze puntloos. Helaas bleven ze ook in de tweede Grand Prix in het Franse Baugé puntloos wat Sergis de kans zag om direct een flinke voorsprong te nemen. Hoewel Daniël en Marcel middels zes mancheoverwinningen hun achterstand op Sergis alsnog konden minimaliseren ging de titel toch weer aan hun neus voorbij. De laatste manche om het WK in het Duitse Rudersberg vielen ze voor de vierde keer uit en dat koste hun zoveel punten dat Kristers Sergis/Artis Rasmanis met voorsprong van 20 punten opnieuw wereldkampioen werden.Vanwege hun uitzonderlijke prestaties werden Daniël en Marcel door de KNMV onderscheiden met de Ben Majoor Trofee als meest beloftevolle talent.Van de veertien manches voor het ONK werden er elf gewonnen en dat was ruim voldoende om de eerste Nederlandse titel binnen te halen. Ondanks dat ze tweemaal waren uitgevallen wisten ze met totaal 355 het duo op de tweede plaats met 91 punten voor te blijven. Het seizoen 1999 werd opnieuw in Griekenland geopend. Met twee tweede plaatsen moesten ze zich nog één keer neerleggen bij de suprematie van Sergis/Rasmanis maar daarna waren Daniël en Marcel de rest van het seizoen oppermachtig. In totaal kwamen ze daarna dertien maal als eerste over de finish en wisten een flinke voorsprong op hun naaste concurrenten Sergis/Rasmanis op te bouwen. Voor de finale wedstrijd werd met een flinke puntenvoorsprong afgereisd naar het Zwitserse Tägerich en reeds in de eerste manche was met een derde plaats de strijd in het voordeel van Daniël en Marcel Willemsen beslist. Ze werden wereldkampioen zijspancross 1999. De tweede manche raakte Marcel geblesseerd en besloten ze de wedstrijd te staken. Vervelende bijkomstigheid was het feit dat Sergis niet kon verkroppen en eindeloos protesten bleef indienen tegen Daniël en Marcel. Ze weden zelfs op het hoofdkantoor van de FIM in Genève ontboden maar ook dat was zonder enig resultaat voor Sergis/Ramanis. Gevolgd van de actie van Sergis was dat de verhoudingen tussen Willemsen en Sergis voortaan op scherp stonden. Vanwege zijn wereldtitel werd Daniël Willemsen door de KNMV beloond met de Hans de Beaufortbeker. Als je de beste van de wereld bent moet je natuurlijk ook de beste van Nederland zijn. Dat lieten ze overduidelijk zien door in alle manches als eerste over de finish te komen met uitzondering van de tweede manche in Halle en St. Isidorushoeve toen de techniek hun in de steek liet.Met een totaal van exact 300 punten hadden ze maar liefst 89 punten meer dan het duo op de tweede plaats. In het bezit van de wereldtitel lag er een gouden toekomst open voor de jonge broers Daniël en Marcel Willemsen. Maar hun droom werd wreed verstoord door een noodlottig trainingsongeval op 25 februari 2000. In het Italiaanse Tinolo bij Pavia waren ze een aantal dagen aan het trainen toen laat in de middag bij een hoge sprong de motor over de kop sloeg. Marcel bleef roerloos liggen en werd naar het ziekenhuis vervoerd. Daar bleek de diagnose dat hij een incomplete dwarslaesie had opgelopen. Het duo Daniël Willemsen/Marcel Willemsen hield op te bestaan. Maar vanuit het ziekenhuis laat Marcel weten dat Daniël niet bij de gebeurtenissen moet blijven stilstaan en verder moest gaan met een andere bakkenist. Uiteindelijk gaat Daniël overstag en besloot te gaan rijden met Sven Verbrugge. Het seizoen werd gekenmerkt door de naweeën van het zware ongeval en aanpassingsproblemen aan de nieuwe bakkenist. Toch wisten Daniël en Sven de tweede plaats in het WK te bereiken. Geen slecht resultaat als men bedenkt dat Daniël de eerste wedstrijd moest missen vanwege zijn ongeval. Daarnaast won Nederland onder aanvoering van Willemsen/Verbrugge het Europees kampioenschap zijspancross voor landenteams dat in 2000 voor het eerst werd gehouden. In het ONK bereiken ze een zesde plaats. Ook in 2001 moesten Daniël Willemsen/Sven Verbrugge de hoogste eer aan Kristers Sergis laten die voor de vierde keer wereldkampioen werd. Het gehele seizoen werd gekenmerkt door onderlinge meningsverschillen tussen Daniël en Sven wat de uitstraling van het team niet ten goede kwam.Als pleister op de wonde werden Daniël en Sven wel Nederlands kampioen en dat was voor Daniël alweer de derde nationale titel. Na twee jaren namen Daniël Willemsen en Sven Verbrugge afscheid van elkaar.In de schaduw van Daniël was Marcel inmiddels voldoende hersteld om zich weer met de motorsport te gaan bezighouden. Het werk als bakkenist zou echter niet meer mogelijk zijn maar hij was wel in staat om zelf aan het stuur te kruipen van een zijspancrosser. Ondanks een wereldtitel en driemaal een vice-wereldkampioenschap begon Team Willemsen een beetje van haar glans te verliezen. Het roer moest om en teammanager Ejo Elburg hielp Daniël om met een schone lei te beginnen. Er kwam een nieuwe bakkenist en na veel testwerk werd de Belg Alfons Eggers de nieuwe partner van Daniël Willemsen. Alfons had een lange staat van dienst bij de amateurbond ambieerde nu duidelijk het wereldkampioenschap. Het leek aanvankelijk goed te gaan en ze leken in staat om de strijd met Sergis aan te gaan. Maar spoedig gooiden slepende blessures roet in het eten. Daniël was genoodzaakt om tijdelijk toch weer een beroep te doen op Sven Verbrugge. Daarna was Bart Notten jr. bereid een aantal malen te vervangen en aan het eind van het seizoen de Belg Dagwin Sabbe. Met Sabbe boekte Daniël op de valreep in Zweden nog een Grand Prix zege maar het waren het toch weer Kristers Sergis/Artis Rasmanis die voor de vijfde keer, en ditmaal met grote voorsprong, wereldkampioen werden. Daniël Willemsen werd voor de vierde keer vice-wereldkampioen. Toch nog een internationaal kampioenschap voor Daniël Willemsen want ook in 2002 wist Nederland het Europees kampioenschap zijspancross voor landenteams te winnen.In zijn woonplaats Lochem vierde Daniël samen met Dagwin Sabbe voor de vierde keer het Nederlands kampioenschap. Niemand gaf Daniël Willemsen een schijn van kans toen hij begin 2003 op de proppen kwam met de 20-jarige volslagen onbekende Letse bakkenist Kaspars Stupelis. Kristers Sergis had zich weten te verzekeren van de ervaren Sven Verbrugge en zij zouden met twee vingers in de neus wereldkampioen worden. Althans daar ging men van uit maar de ambitieuze Let was niet voor spek en bonen naar Nederland gekomen en wilde samen met Daniël Willemsen wereldkampioen worden. Vanaf het begin ontspon zich een heftige strijd tussen de twee duo’s met als inzet de wereldtitel. Sergis/Verbrugge moesten het duidelijk afleggen tegen Willemsen/Stupelis en in het Gelderse Lichtenvoorde, niet ver van Daniël’s woonplaats, behaalde hij voor de tweede keer de wereldtitel. Om het seizoen helemaal geslaagd te maken werd ook voor de vijfde keer de Nederlandse titel behaald en werd Nederland onder aanvoering van Willemsen/Stupelis wederom Europees kampioen voor landenteams. De succesvolle Nederlands-Letse samenwerking kreeg een vervolg in 2004. Al bij de eerste wedstrijd in Spanje kregen ze met pech te maken en raakten veel punten kwijt op hun concurrenten Sergis/Verbrugge. Maar in Duitsland kreeg ook Sergis met tegenslag te maken waardoor Willemsen/Stupelis de overige wedstrijden gemakkelijk konden winnen. Met een grote puntenvoorsprong vertrokken ze naar de voorlaatste wedstrijd in Letland waar zij definitief wereldkampioen werden. Voor Kaspars Stupelis was het een heel bijzondere gebeurtenis dat hij deze keer in eigen land tot wereldkampioen gekroond werd. Records werden scherper gesteld, in het Belgische Neeroeteren boekte Daniël Willemsen zijn 75e mancheoverwinning in het WK. Uiteraard bezat Stupelis in zijn eigen land duizenden fans en velen droomden ervan dat Stupelis een duo zou gaan vormen met hun held Kristers Sergis. Aan het eind van het seizoen zwichtte Stupelis voor de aanbiedingen van Sergis en stapte hij over naar de grootste concurrent van Daniël Willemsen. Op zijn beurt werd Sven Verbrugge door Sergis aan de kant gezet en was er vervolgens niet veel voor nodig om hem weer in de armen van Willemsen te drijven. Een tot op het bot getergde en gemotiveerde Sven Verbrugge keerde terug bij Daniël Willemsen en dat was precies wat hij nodig had. De strijd tussen Sergis/Stupelis en Willemsen/Verbrugge was het hele jaar bikkelhard maar uiteindelijk wist Daniël zijn grootste rivaal met 38 punten verschil te verslaan. 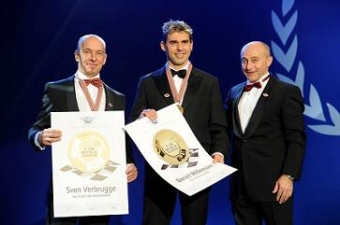 Voor Sven Verbrugge kwam eindelijk een droom uit, hij werd als bakkenist de eerste Belgische wereldkampioen in de zijspancross.Aan het eind van het seizoen wachtte Daniël en Sven in Lochem een grootse huldiging waarbij ook de voorzitter van het NOC-NSF en voormalig Olympisch kampioene, Erica Terpstra aanwezig was. Zij wist samen met burgemeester van der Woude van Lochem Daniël Willemsen op wel heel bijzondere wijze te verrassen. Vanwege zijn grote verdienste in de motorsport werd Daniël Willemsen door Hare Majesteit de Koningin benoemd tot Ridder in de Orde van Oranje Nassau. Een hoge Koninklijke Onderscheiding die nog maar hoogst zelden iemand uit de motorsport ten deel was gevallen. Ook de gemeente Lochem toonde dat jaar haar waardering voor Daniël Willemsen door het pad langs het motorcrosscircuit in Lochem om te dopen tot ‘Daniël Willemsenpad”. “Never chance a winning team”, dus het was haast vanzelfsprekend dat het duo Willemsen/Verbrugge hun samenwerking in 2006 voortzetten. En het was wederom bijzonder succesvol voor beiden want zij behaalden opnieuw de wereldtitel. Met een vijfde wereldtitel kwam Daniël Willemsen op gelijke hoogte te staan met Kristers Sergis die nog een paar records op zijn naam had staan, namelijk het aantal mancheoverwinningen en Grand Prix zeges. Maar uitgerekend in Letland ging Daniël Willemsen met zijn 99e manchezege de Let voorbij. Op dezelfde wedstrijd behaalde Daniël Willemsen ook zijn 47e Grand Prix zege waarmee hij ook daarmee Sergis overtrof. Naast de wereldtitel wist Daniël Willemsen samen met zijn teamgenoten Marcel Willemsen en Jarno van den Boomen voor de vierde maal het Europees kampioenschap zijspancross voor landenteams naar Nederland te halen.Bovendien werden Daniël Willemsen/Sven Verbrugge zowel Nederlands kampioen en Belgisch kampioen zijspancross. Voor zijn bijzondere prestaties in de motorsport ontving Daniël Willemsen in dat jaar voor de derde maal de hoogste onderscheiding van de KNMV. De Hans de Beaufortbeker was sinds 1947 nog maar één keer driemaal aan dezelfde motorcoureur uitgereikt. De onderhandelingen met Sven Verbrugge over een derde termijn liepen al in een vroeg stadium vast maar Daniël Willemsen had reeds een nieuwe kandidaat op het oog. De jonge ambitieuze Zwitser Reto Grütter bood zich aan als bakkenist en een proefwedstrijd aan het eind van het seizoen was voldoende om Daniël Willemsen te overtuigen van zijn capaciteiten. In de wintermaanden onderging de jonge Zwitser een intensieve training onder leiding van oud-wereldkampioen Adi Käser zodat hij vanaf het eerste moment topfit bij Daniël in het zijspan stond.Het seizoen 2007 werd er een van superlatieven. Vanaf hun eerste wedstrijden waren Willemsen/Grütter oppermachtig. 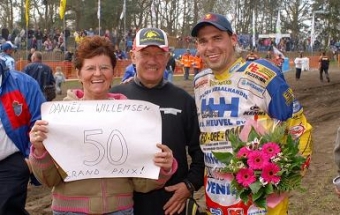 Tijdens de openings Grand Prix in Oldebroek behaalde Daniël Willemsen zijn 50e Grand Prix overwinning. Het zou in alle opzichten het meest succesvolle seizoen worden want van de zestien manches die het WK dat jaar telde werden er vijftien gewonnen. Alleen tijdens de Grand Prix van Letland ging het even mis. Ook in 2008 stond Reto Grütter aan de zijde van Daniël Willemsen. Even leek er een kink in de kabel te komen toen Grütter kort voor de aanvang van het seizoen zijn sleutelbeen brak. Maar zijn landgenoot Bruno Kälin trad in de eerste wedstrijd als vervanger op. Daarna was het weer aan de beurt aan Grütter en met grote overmacht koerste het Nederlands-Zwitserse duo af op hun volgende wereldtitel. Het was daarbij nog een kleine stap om het laatste record te breken, dat van het meest behaalde WK punten wat met 4687 nog steeds op naam van Kristers Sergis stond. Daniël ging Kristers Sergis (4687) voorbij in de eerste manche van de Tsjechische GP te Jinin door zijn puntentotaal op te schroeven naar 4698 punten. Reeds in de voorlaatste wedstrijd op 07 september in het Franse Dardon-Gueugnon waren ze zeker van hun opvolgende wereldtitel.Ook op nationaal vlak waren Willemsen/Grütter bijzonder succesvol door zowel de Nederlandse als de Belgische titel te behalen. Voor zijn bijzondere prestaties werd Daniël Willemsen door de KNMV voor de vierde maal onderscheiden met de Hans de Beaufortbeker. Het was nog nooit voorgekomen dat door de KNMV viermaal deze hoogste onderscheiding aan dezelfde motorcoureur had uitgereikt. Ondanks zijn woorden “ik ga noooooit meer!” vatte Daniël Willemsen toch weer het plan om voor deelname aan de Dakar rally. Als voorbereiding nam hij deel aan de Tuareg rally in Marokko welke over een gedeelte van de route voor de Dakar rally loopt. Daniël wist de eerste plaats te behalen in deze rally wat hem voortaan naast zijn faam als zijspancrossers ook de nodige faam in de rallysport opleverde. Toen begin 2009 Reto Grütter besloot het bedrijf van zijn vader over te nemen moest hij onverwacht de motorsport vaarwel zeggen. Dat plaatse Daniël Willemsen voor een onverwacht probleem. De Belg Dagwin Sabbe met wie Willemsen in het verleden al vaker had gereden, tekende voor een samenwerking met Willemsen. Reeds bij de eerste Grand Prix raakte Dagwin Sabbe dusdanig geblesseerd dat hij lange tijd uit de running zou zijn. Sven Verbrugge keerde dan toch weer terug bij Daniël Willemsen en het duo Willemsen/Verbrugge leek ook nu weer rechtstreeks op de wereldtitel af te stevenen. In het Franse St. Jean d’Angely boekte Daniël Willemsen zijn 150e manchezege in het WK. Maar na zoveel succesvolle jaren kwam halverwege 2009 de tegenspoed. Tijdens een wedstrijd voor het Nederlands kampioenschap in Mill brak Daniël Willemsen zijn been en leek het seizoen verloren. Maar Daniël gaf de moed nog niet op, na intensieve behandelingen zat hij zes weken later weer op de motor. Wel had hij drie wedstrijden om het WK moeten missen maar hij had in de voorgaande wedstrijden een dusdanig grote puntenvoorsprong opgebouwd dat hij nog steeds aan de leiding stond. Maar de rentree kwam te vroeg, in Denemarken moest Daniël uitgeput het tempo laten zakken en raakte hij de leiding om het WK kwijt. De volgende wedstrijd in het Russische Penza werd alle energie en doorzettingsvermogen bij elkaar geschraapt en wist hij toch weer beide manches te winnen. Maar zijn lichaam was teveel gehavend door de beenbreuk en daaropvolgende operatie om de resterende wedstrijden succesvol af te ronden. De wereldtitel leek nu voor het oprapen voor de Belg Jan Hendrickx maar door mechanische pech ging de wereldtitel in de finalewedstrijd onverwacht naar zijn neef Joris Hendrickx. 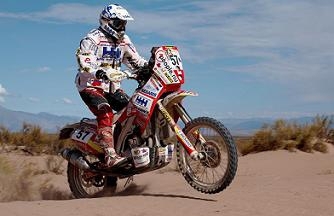 Het zijspancross seizoen mocht dan als verloren worden beschouwd, begin 2009 startte Daniël Willemsen opnieuw in de Dakar rally. Die werd in 2008 wegens terreurdreiging op het laatste moment afgelast en om herhaling te voorkomen verhuisde het evenement naar Zuid-Amerika. Het werd een uitermate succesvolle rally met Daniël Willemsen op een 21e plaats in het eindklassement voor motoren. Aangetrokken door een lucratief sponsoraanbod uit Oekraïne besloot Daniël Willemsen in 2010 in zee te gaan met de jonge talentvolle bakkenist Roman Vasyliaka uit dat land.Maar de plannen om in 2010 met hem te gaan rijden strandde al in een vroeg stadium toen Vasyliaka een gecompliceerde polsbreuk opliep. In allerijl werd een nieuwe bakkenist gezocht en dit keer was het plaatsgenoot Gertie Eggink die Daniël, althans voorlopig, zou bijstaan. Geheel onvoorbereid stapte Eggink bij Willemsen in het zijspan maar wist zich snel aan te passen aan het tempo van Daniël. Alles leek voorspoedig te verlopen totdat bleek dat Eggink leed aan een virusinfectie waardoor hij vaak conditioneel uitgeput raakte. Maar daar stond een bikkelhard karakter tegenover, bij Gertie was het letterlijk volhouden tot hij er bij neerviel. En dat gebeurde ook een aantal keren toen Gertie meer dood dan levend over de finish kwam. De voorsprong op de concurrentie bleef dan ook het hele seizoen minimaal en hadden ze een paar goede uitslagen dan werd dat vaak weer teniet gedaan door een mindere score. Met nog twee wedstrijden in het vooruitzicht stonden Willemsen/Eggink 13 punten achter op de leiders Hendrickx/Liepins en tot overmaat van ramp kreeg Eggink op doktersadvies voor de laatste twee Grand Prix een startverbod opgelegd. De laatste twee wedstrijden werd de plaats van Eggink ingenomen door de Belg Dagwin Sabbe en tijdens de finale in het Duitse Rudersberg wisten Willemsen/Sabbe beheerst rijdend voldoende punten bij elkaar te rapen om voor de achtste keer wereldkampioen zijspancross te worden.Voor het eerst sinds 1999 ging de wereldtitel zijspancross met Daniël Willemsen/Gertie Eggink weer naar een geheel Lochems duo.Als afsluiting van het seizoen werd in Slowakije het Europees kampioenschap voor landenteams zijspancross verreden en ook dit keer ging het goud naar de Nederlandse teams onder aanvoering van Daniël Willemsen. In 2010 werden naast de achtste wereldtitel weer een aantal records scherper gesteld, de 70e Grand Prix zege werd in Oldebroek, Nederland behaald en 160e manchezege in St Mamet, Frankrijk, dit alles samen met Gertie Eggink. Ook wist Daniël Willemsen vanaf zijn eerst WK punten in 1994 nu meer 6000 WK punten te hebben behaald. Na een zware en intensieve training kreeg de Oekraïner Roman Vasyliaka in 2011 opnieuw een kans om samen met Daniël Willemsen een gooi te doen naar de wereldtitel. Maar de geschiedenis herhaalde zich, ook nu raakte Vasyliaka geblesseerd en moest Daniël te elfder ure op zoek naar een vervanger. Andermaal bleek de inmiddels 43-jarige Sven Verbrugge bereid om Daniël Willemsen bij te staan. Verbrugge had in 2010 een ernstige beenbreuk opgelopen maar was aan het begin van het seizoen weer volledig fit. Het oude-nieuwe duo presteerde weer als vanouds. Maar na een paar succesvolle Grand Prix raakte dit keer Sven Verbrugge bij een ONK wedstrijd in Emmen geblesseerd. Een maand later stond hij weer in het zijspan bij Daniël en zij leken de succesvolle weg te vervolgen. Totdat Sven Verbrugge als gast bij Christian Corthout opnieuw geblesseerd raakte en deze keer vrij ernstig. Gelukkig kon Daniël in de Duitse Grand Prix een succesvol beroep doen op de Tsjech Ondrej Cermak met wie hij beide manches won. Vervolgens zou Sven Verbrugge het stokje weer overnemen maar hij had zoveel last van zijn blessures dat de wedstrijden in Letland en Estland een ware marteling werden. Desondanks wisten ze op halve kracht toch nog de nodige WK-punten te vergaren. Vervolgens werd de Grand Prix in het Aziatisch gedeelte van Rusland een enorm succes toen zij ten overstaan van meer dan 30.000 toeschouwers beide manches wonnen. Twee weken later volgde Denemarken waar Daniël Willemsen voor de negende keer en Sven Verbrugge voor de derde keer tot wereldkampioen werden gekroond. Verlost van alle stress zou de laatste wedstrijd in het Duitse Rudersberg een ontspannen demonstratie van hun macht moeten worden. Voor die gelegenheid werd de motor in fel oranje kleuren gespoten maar tijdens de kwalificatiewedstrijden liep Daniël Willemsen een polsbreuk op en was het cross seizoen ten einde. 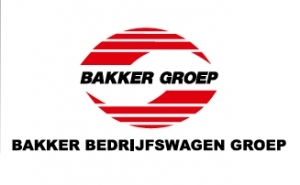 Het nieuwe jaar werd begonnen met een derde deelname aan de Dakar rally. Ditmaal met groot succes, Daniël Willemsen werd winnaar in het marathonklassement voor motoren. Het streven is om in 2012 de tiende wereldtitel zijspancross binnen te halen. Daarmee zou hij op gelijke hoogte komen met Stefan Everts die als solocrosser tien wereldtitels behaalde.Of dat gaat lukken weten we nog niet want de concurrentie is groter dan ooit en vaak 15 jaren jonger dan Daniël Willemsen.